Japan is one of my favorite countries– for both otherworldly experiences and for the fantastic souvenirs to bring home. Read more about what makes Japan such a unique destination to experience, along with my first twelve favorite Japanese souvenirs, in part one of this post, Best 25 Japanese Experiences and Souvenirs around Tokyo (Kanto) Part I. Because I couldn’t fit all of what I love about Japan’s Tokyo (Kanto) region in one post, I am continuing the remainder of it here. Whenever I see Japanese women decked out in beautiful kimonos, I have a little outfit envy. I love the sense of tradition– the kimono has remained the same for centuries. Also, they just look so darn glamorous and elegant. I’ve always wanted to try on a kimono but knew better than to make it a diy experience. Afterall, formal kimonos come in many pieces and require knowledge of wrapping/tying, and it’s pretty much impossible to put one on without assistance. But when visiting Tokyo you don’t need an insider connection to play dress up for an afternoon. You can simply sign up for the kimono omotenashi experience, conveniently located in one of Japan’s excellent department stores. After picking out your kimono and obi sash, an expert dresser will wrap you to perfection. We made the most of the experience and headed out to the streets of Tokyo for an impromptu photo shoot. 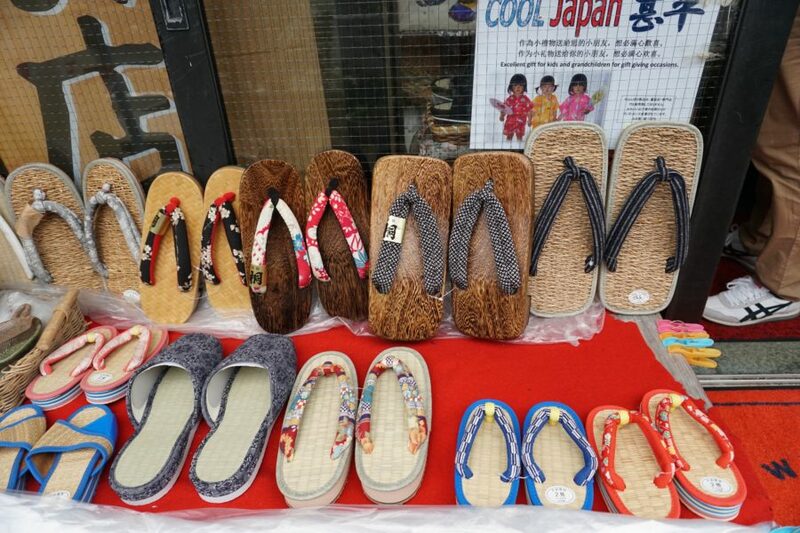 Those funky wooden-soled Japanese sandals aren’t tourist gimmicks– they’re actually worn by locals. While there are many types of Japanese sandals, Japanese geta sandals are the ones traditionally worn with a kimono– you’ll take them for a trial run when you have the kimono experience. While bringing home a full formal kimono is slightly impractical, the geta sandals are a reasonable compromise, and could easily work with a sundress back home. 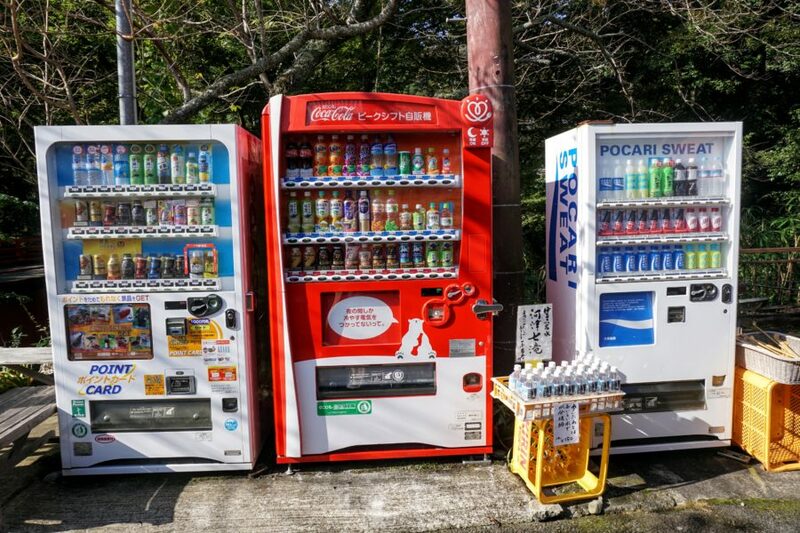 In Japan, vending machines are everywhere. Just passed one on a city block? No worries there are three more on the next corner. In a tiny village with no shops in site? You’re never far from a fully stocked vending machine. Japanese vending machines are also notable for their sheer variety of offerings. While most of the Japanese vending machines offer beverages, it’s not like in the US where it seems like every single vending machine is run by a couple of distributors. In Japan, you’ll come across niche brands all the time. The other things I found interesting was that some machines vend both hot and cold drinks. But Japan is most well-known for their outrageous vending machines that go well beyond refreshing beverages. Among the items you can buy from Japanese vending machines– rice (unpolished, have it polished in a separate machine), umbrellas, beer, fortunes, batteries, ramen soup, eggs and bananas. You’ll often find several vending machines huddled together like these. Want to share with your friends back home the wonderfully weird offerings of Japanese vending machines? Why not bring home a few cans of something completely unexpected, yet readily available– like corn chowder. If you’ve been to the American chain restaurant Benihana, then you’ve already experienced a watered down version of Japanese teppanyaki. 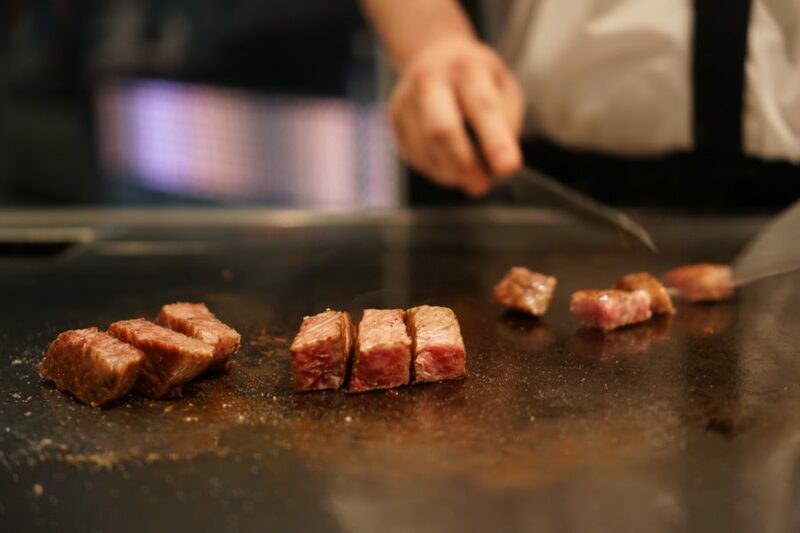 Teppanyaki is a style of Japanese cuisine that uses an iron griddle to cook food. Because the food is cooked right in front of you, with the chefs injecting a little drama into the cooking process, you get a delicious dinner and entertaining show all in one. Real kobe beef is as tender and delicious as it looks. Our dinner was accompanied by fine sake and incredible views. Once you eat steak with chopsticks, I promise you a fork will seem so pedestrian. 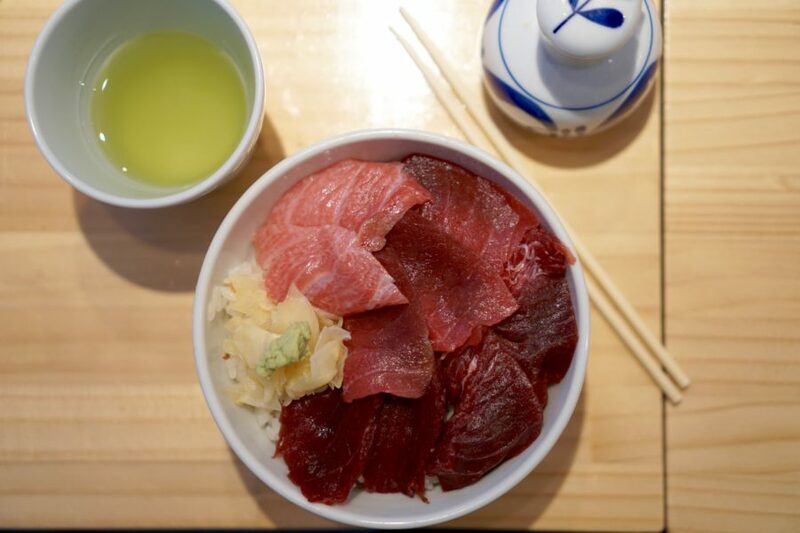 Why not bring the tradition home with you and expand your use of chopsticks beyond sushi? 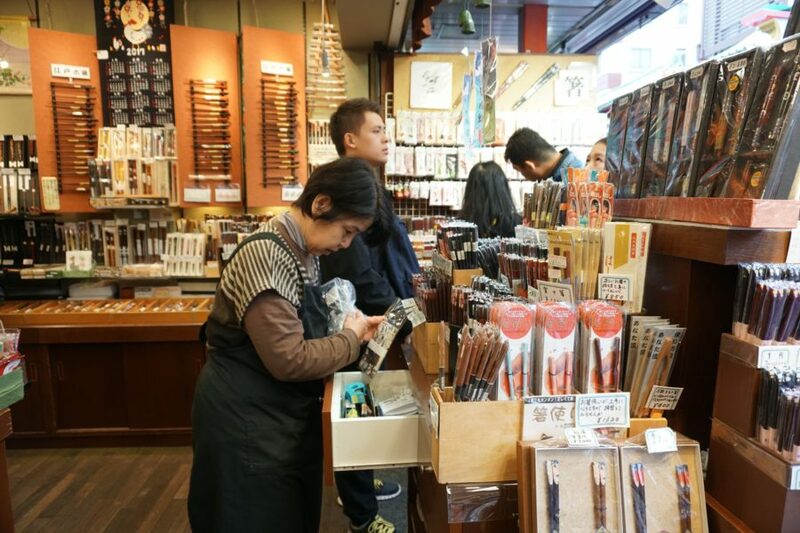 You’ll find entire shops and market stalls dedicated to the sale of Japanese chopsticks. Chopsticks come in all shapes and sizes and can be works of art. Pick up a set for an at-home teppanyaki experience. If you’ve seen the Anthony Bourdain No Reservations episode where he visits the Tsukiji fish market auction, you’ve probably put it in your bucket list, like I did. Unfortunately, despite careful planning and a valiant effort to make the early morning fish auction, I still managed to miss it. Consolation prize? Sushi for breakfast at one of the bustling restaurants at the market. Yes I know– when I first heard sushi for breakfast I was unsure if I could handle it. But somehow, when you are smack in the middle of the buzzing fish market, with fresh tuna belly straight off boat set down in front of you, you will swear it’s the best thing you’ve ever tasted in your life. In fact, I’m craving it right now. 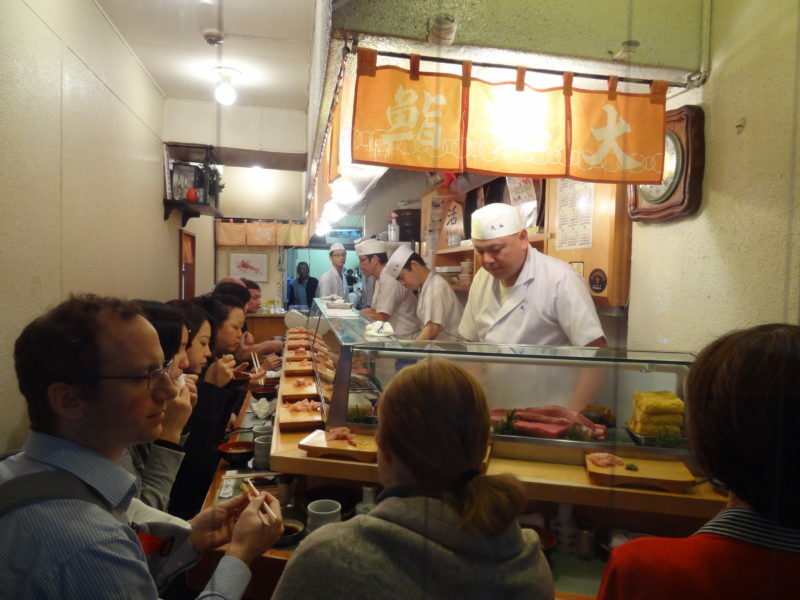 We tried to hit Anthony Bourdain’s favorite sushi joint at the Tsukiji fish market, but the wait was so crazy we settled for the “second best” spot– which was phenomenal. I ordered tuna three ways– the lighter pink pieces are the fattier, tastier (and more expensive) tuna belly. At the Tsujiki fish market. If after tasting the incredible sushi at the Tsujiki fish market inspires you to master the art of making a sushi roll back home, why not stock up on dried nori seaweed right at the source. When I saw our itinerary for the Koshu region, I admit I was shocked not to see a sake factory but instead a vineyard and winery. Japanese wine? I had never heard of such a thing. But as we drove up past waterfalls and through the mountains, it all made sense. Close your eyes and you might think you’re in Switzerland, with mountains surrounding you and the air crisp and clean. 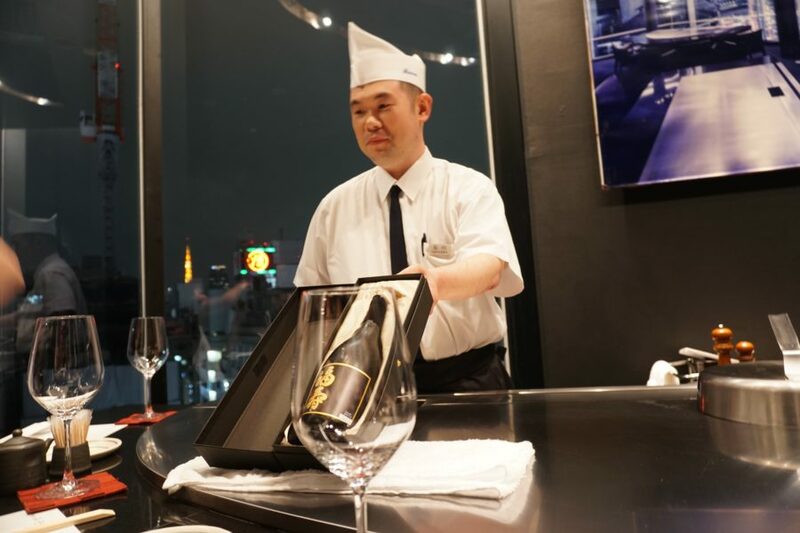 Forget what you might have heard about Japanese wine in days long ago– that sweet, cloying wine is a thing of the past. Winemakers have stepped up their game. We met Shigekazu Misawa, the owner of Grace Wine in the Koshu region. Mr. Misawa explained their dedication to creating the finest Japanese wine to compete with any of the world’s leading vineyards. 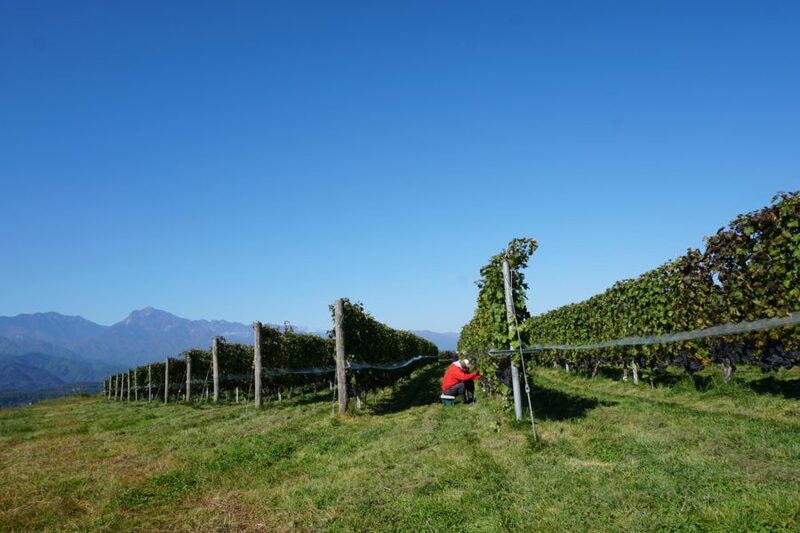 The wines at Grace vineyard are dry with a low alcohol content– a perfect accompaniment to light Japanese food. 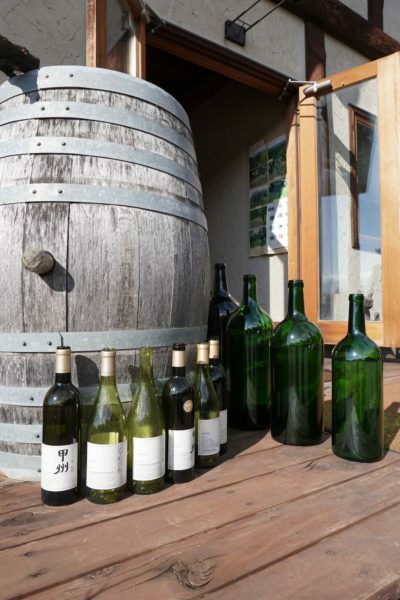 Grace vineyard’s wines have received accolades from renowned critics worldwide. We all loved the Japanese wines we sampled at Grace vineyard. Because these wines are still so niche and limited in distribution, a bottle of Grace wine would be an excellent souvenir to bring back for that wine snob friend– or to serve at your next dinner party. I visited Japan during a tumultuous time in my everyday life. 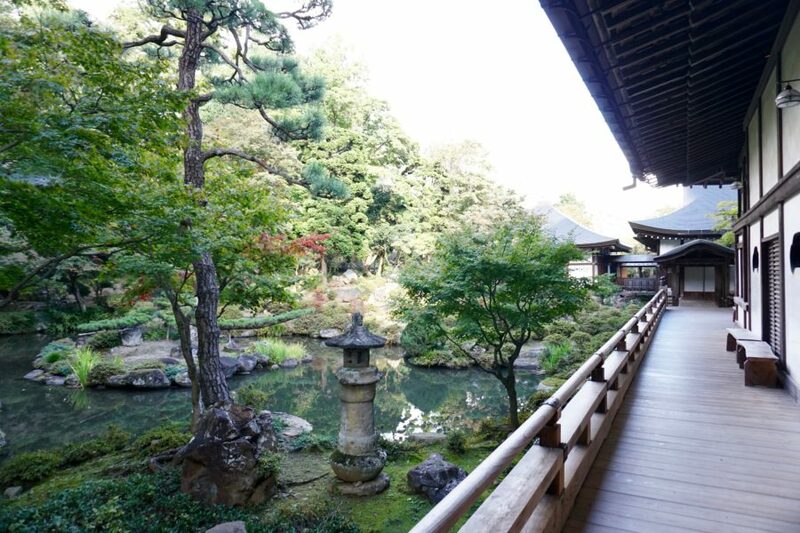 But when we stopped into any one of the Buddhist temples on our tour, I could practically feel the anxiety melting, especially as we walked through the incredible gardens, designed specifically for reflection and meditation. Erinji Temple has the most amazing zen gardens. I find Buddhist temples inspirational and a good way to quiet my overactive mind and get a little zen in. To remind myself of hopeful things ahead, I like to pick up some Japanese amulets, called omamori, to bring home. 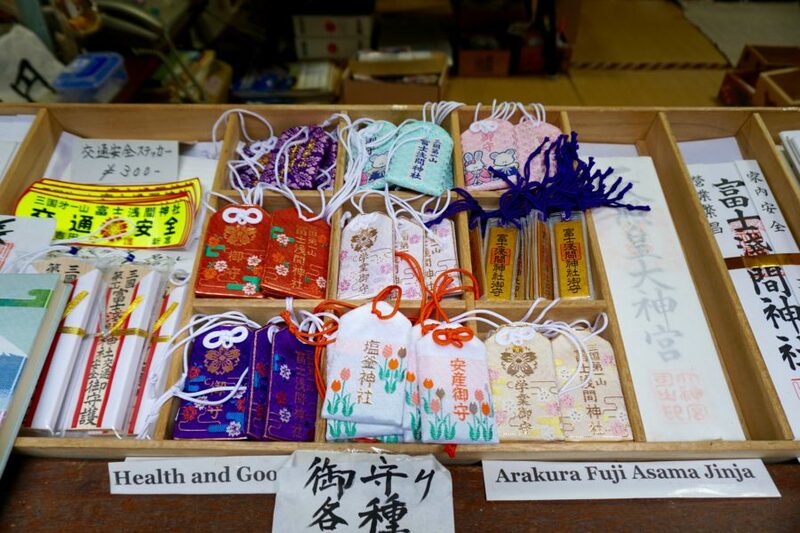 Omamori are little symbols of luck, for all sorts of things like health, love, and good fortune. I wrote all about omamori in a prior post, read about it here. Our tight travel schedule meant we barely spent any time in one of Japan’s largest cities, Yokohama. But it was just enough to give me a glimpse of how this city stood out from the others I’d visited– to me everything about Yokohama said fun. 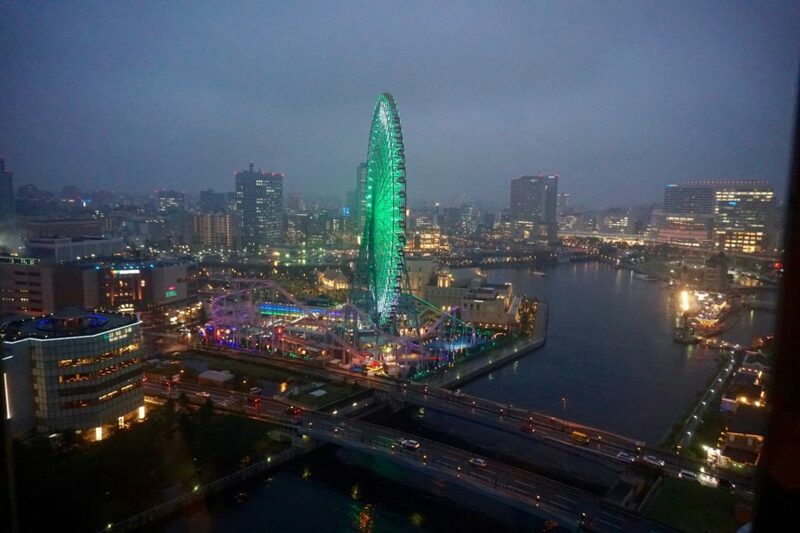 From the giant ferris wheel to the crazy museums (Cup o’Noodles, Ramen and Tin Toys, for example) to the bright lights of Chinatown, everything about Yokohama seemed just a little more colorful and effervescent than other parts of Japan. If I’d had more time, the Cup o’Noodles is the one museum I would have visited– for the sole purpose of making my own custom cup o’ noodles. Back in my university days, I enjoyed many a cup o noodles for a quick and cheap meal. Making my own version would bring back a little nostalgia and would also be a fun challenge to see if I could invent the perfect cup. When I travel, I like to mix up city, village and nature. 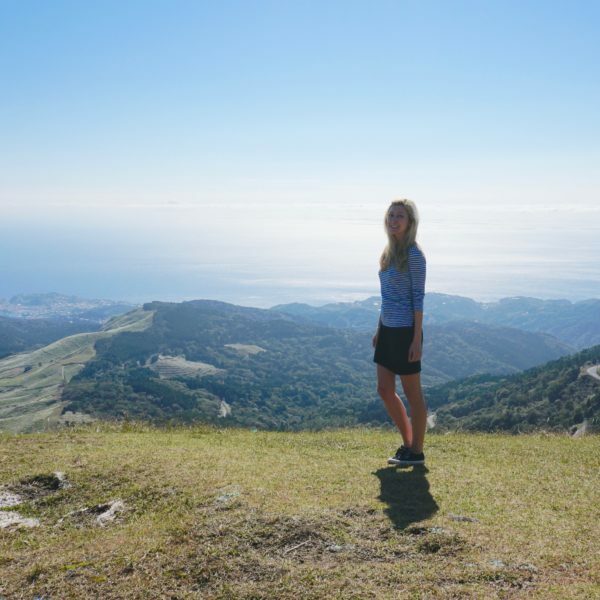 I’m not fond of spending all day hiking, but a short hike capped off by a spectacular view is the perfect way to get in a little exercise and really get a sense for a place. After an easy walk, we stood on this mountain top in the Hosono Highlands with windmills spinning behind us, reeds blowing under our feet, and the sea right in front of us. 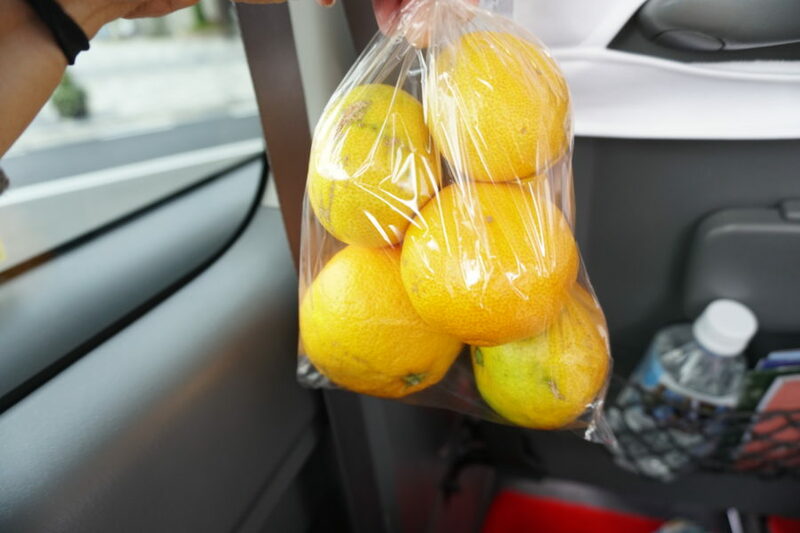 This region of Japan is well-known for its delicious tangerines. I recommend eating fresh tangerines while you’re there. But since you can’t bring fresh fruit home with you, the sugared dried tangerine we sampled was to die for. We also loved the tangerine flavored cookies. 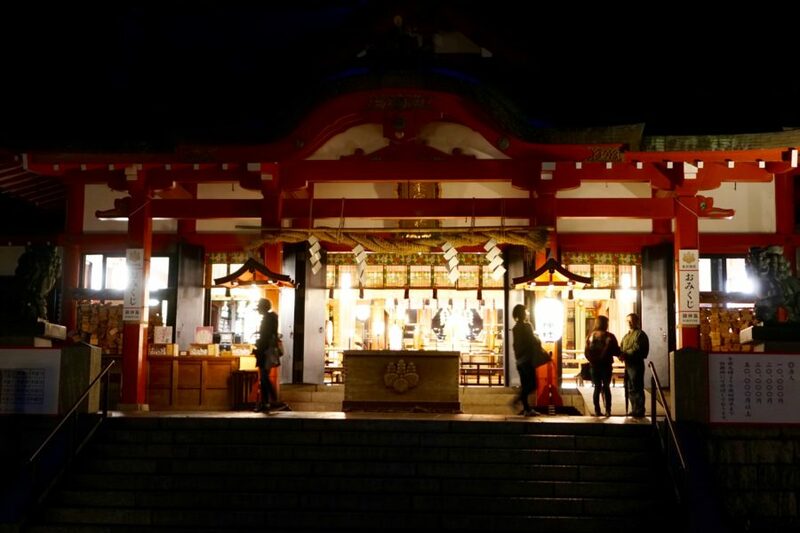 When we visited the illuminated Konomiya shrine in Atami, we were taken to a giant tree adjacent to the shrine. 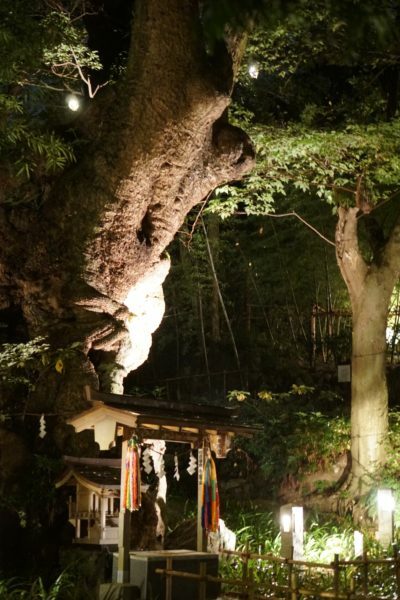 The Shinto priest explained that circling the 1300 year old tree would grant you one wish and add a year to your life. On hearing this, I quizzed the priest further– would circling it twice add two years to your life (and grant you two wishes?). When the priest, who seemed quite amused, responded that yes it would, I took to the trail and circled the tree. Twice. The only thing that stopped me from circling the tree three times (or ten) was my concern of looking err, greedy. So with two extra years added, I called it a day. At the shrine’s shop I picked up some scented oil made from the actual ancient tree, along a diffuser to release the scent. While the Shinto priest could not say for certain that the oil will bring wishes or add years to your life, I figured it can’t hurt and was a good way to contribute a donation to this lovely shrine. I really have no commentary here. Seeing Mount Fuji is one of those bucket list, once in a lifetime experiences that you just need to do. 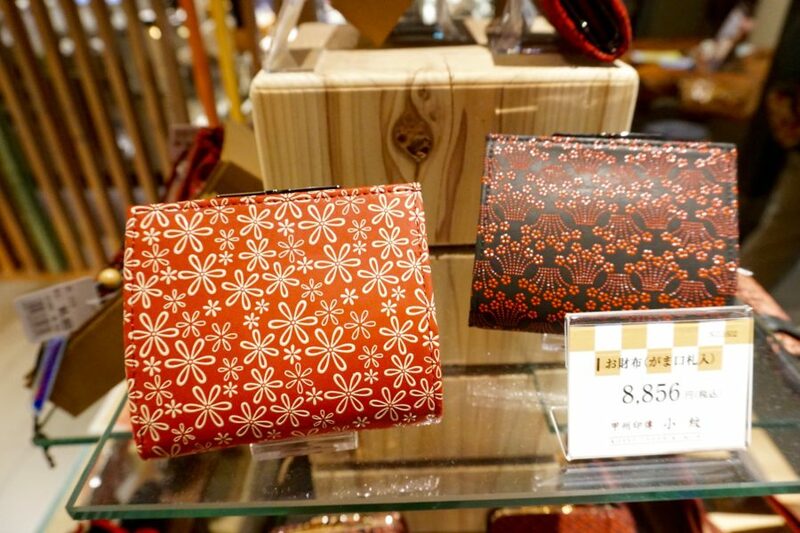 The Mount Fuji area (Yamanashi) is actually well known for a very unique souvenir– a traditional craft called Koshu Inden, or deerskin leather bags. The shop also carries deerskin leather wallets and other small objects (though sadly they had to stop carrying soft deerskin underwear due to allergic reactions). The shop had a huge assortment of bags of all sizes in beautiful traditional yet still modern looking patterns. Considering the deerskin bags are handmade, the prices were a steal. 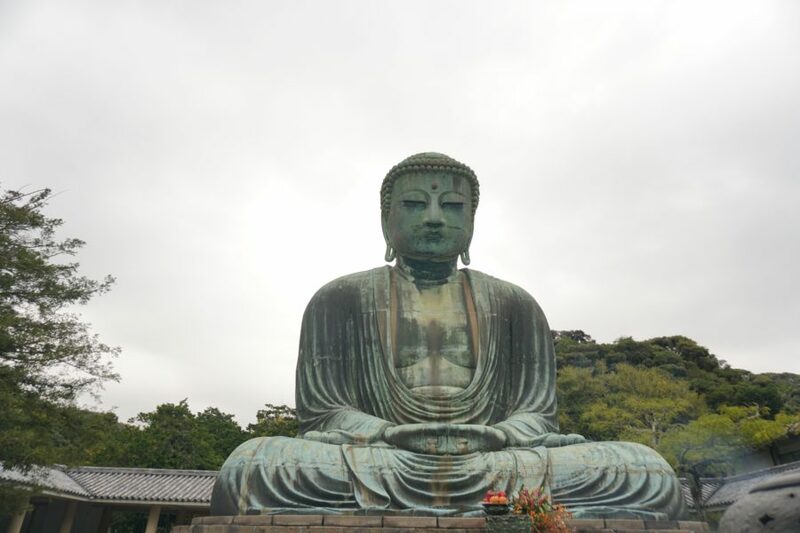 If you visit the Kamakura region, you really have to go check out the giant Buddha. It’s one of those places photos don’t really do justice, you need to be standing before this massive figure to really feel its incredible presence. 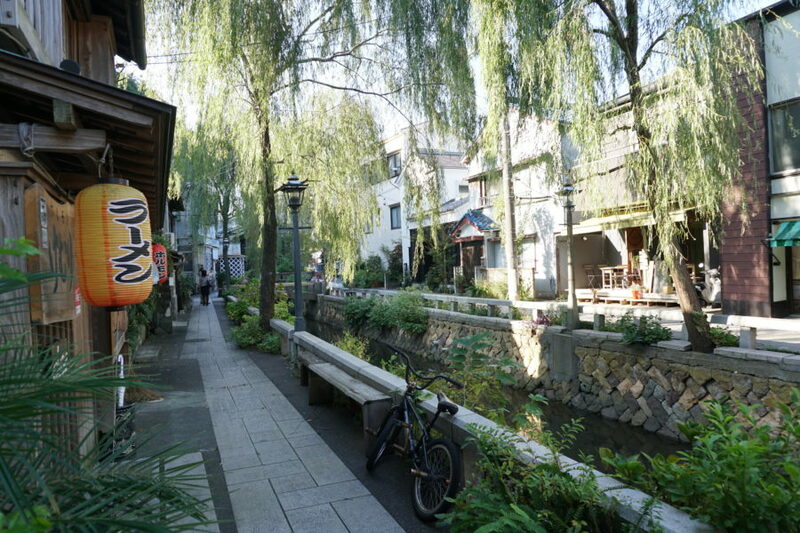 At practically every tourist attraction I visited in Japan– whether it was Mt. Fuji, the sulphur vents or this giant buddha– the local gift shop always, and I mean always, sold a beautifully packaged custom sweet in the image of the attraction. At an attraction like this one where there isn’t a clear souvenir to buy, a sweet makes a perfect edible memento. 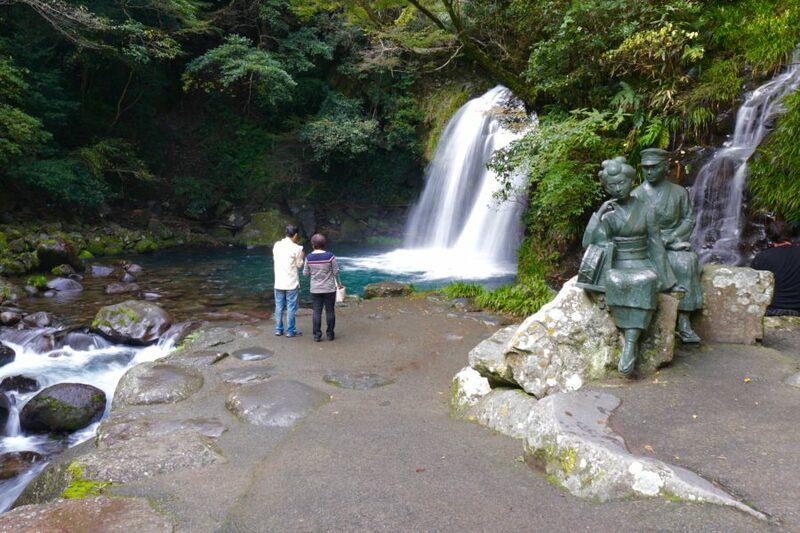 While much of ancient Japan has been destroyed in wars and by the elements, you can still find little pockets of the past. 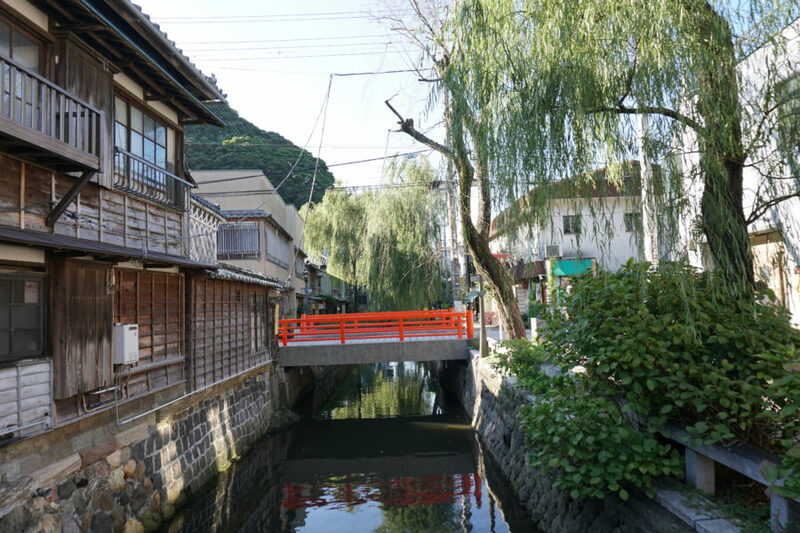 In Shimoda, look for Perry Street to find a stunning canal crisscrossed by bridges and lined with ramshackle traditional Japanese wooden buildings. Shimoda’s tourism centers on the arrival of US Commodore Matthew Perry and his black ships in 1853. A special sake commemorating Perry is still sold to this day. 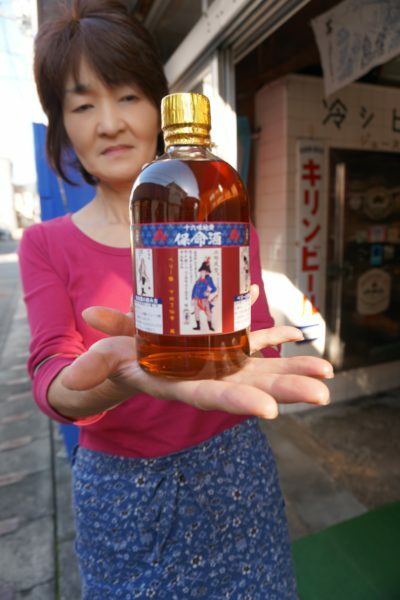 We sampled it and it was quite different from other sakes I tried– sweet and mellow. Definitely a conversation starter to bring back home. Sure one waterfall might not be worth going out of your way for, but seven? Now that’s worth the stop. The lush mountain setting, along with the fantastic surrounding shops and restaurants here made these waterfalls well worth a daytrip. In this verdant, mountainous region, you’ll find bonafide wasabi fields growing the real stuff. 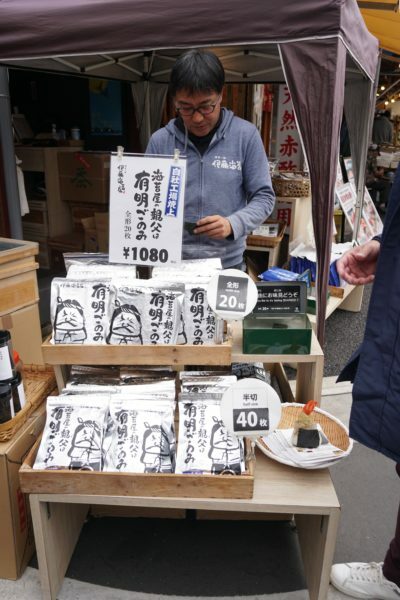 Locals are proud of their fine wasabi crop, and area gift shops demonstrate the commitment to all things wasabi. 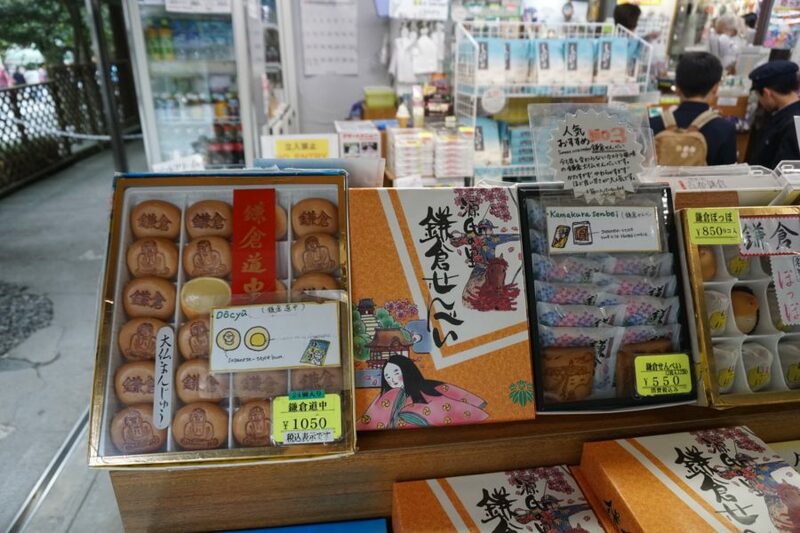 Sure you’ll find the expected fresh wasabi and wasabi paste, but you’ll also find unusual souvenirs that don’t usually come to mind when you think wasabi– like wasabi kitkats, plush wasabi toys and colorful wasabi t-shirts. If you missed the first twelve Japanese experiences and souvenirs, click over to them here! 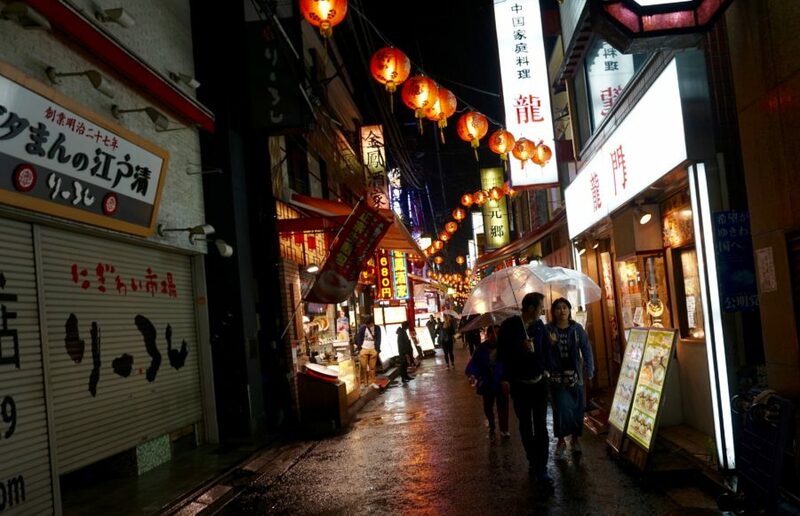 What are your favorite Japanese things to do and souvenirs to bring home? Tell us in the comments! Disclosure: my trip to the Kanto region of Japan was part of a press trip hosted by JTB, but all of my souvenir picks are my own. You don’t say how much kimonos cost. How much are they, and are the simpler robes, the yukata, less expensive? Be careful about how much sake you can bring home aboard a plane: some TSA-airport security equivalents will not allow anything over 750 mL aboard aircraft. So, if that sweet Perry sake is in a large bottle, I hope it’s not confiscated at the airport security checkpoint. I’d rather take home those a yukata robe, a pair of Geta sandals, some tangerine cookies, and some magnets and lapel pins. Were any lapel pins sold vending machines? LOVE LOVE LOVE your blog! We are taking our kids to Tokyo and Kyoto later in the year. I’ve been before when I was younger, but taking kids I feel like I need to be a bit more organised to make sure we still manage to see and do all the things we want to (at kid-speed rather than adult-speed!) I am loving all your tips and now have a notebook full of ideas and “must dos”. Thanks!! Thanks so much Amanda! Have an amazing trip and let me know if you find any kid-friendly souvenirs!